Nerf Titan, Perses, Revoltinator, Megalodon Info Officially Released! 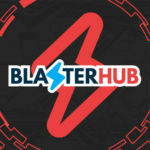 We have quite a few blaster officially announced by Hasbro prior to Toy Fair (regardless of blaster “leaks”, Hasbro is a corporation that operates on it’s own schedule). I’ll have the official release text posted after work (I still haven’t quite mastered the subtleties of the touch screen). In the meantime, here are some pictures … Continue reading Nerf Titan, Perses, Revoltinator, Megalodon Info Officially Released!